Miami has had a bit of bad press over the years. 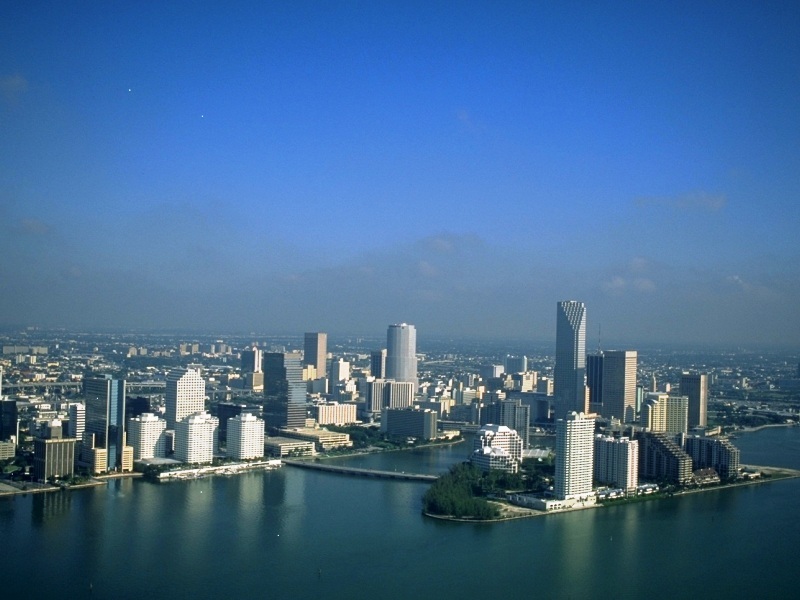 TV shows such as Miami Vice, and more recently CSI Miami, have painted the city as a grimy, crime-ridden den of iniquity. So much so that when I said that I had been the first question most people asked was if I had felt unsafe, or if it was as bad as it looked on TV. And I must confess that I was expecting something rather more gritty than what I found. Because Miami’s reality is rather different from its screen persona. Far from being dull and dirty, Miami seems to sparkle. Maybe it’s just the bright blue skies (that’s one thing that the TV shows have got right), or the fact that the ocean seems to almost surrounds it that does it, but my first impression was of a light, bright city. Driving from the airport there was was a wonderful moment crossing the causeway that leads into the Miami, when I got my first sight of the city. It seemed to just open up before my eyes, sprawling out into the distance, the buildings shimmering slightly in the Florida heat. Miami is a cosmopolitan city, and every district seems to have its own character. From the historic centre of Downtown and the sleek high rise towers of offices and luxury hotels in the financial district of Brickell, to the leafy suburbs of Coconut Grove and Coral Gables and Little Havana with its authentic shops and restaurants that make you feel as if you could be in Cuba itself, it is almost as if Miami is made up of a collection of individual towns and villages. Officially a city in its own right Miami Beach is probably the best known part of the Greater Miami area, perhaps because it has featured in so many films and TV shows (much of Miami Vice was filmed around Miami Beach). 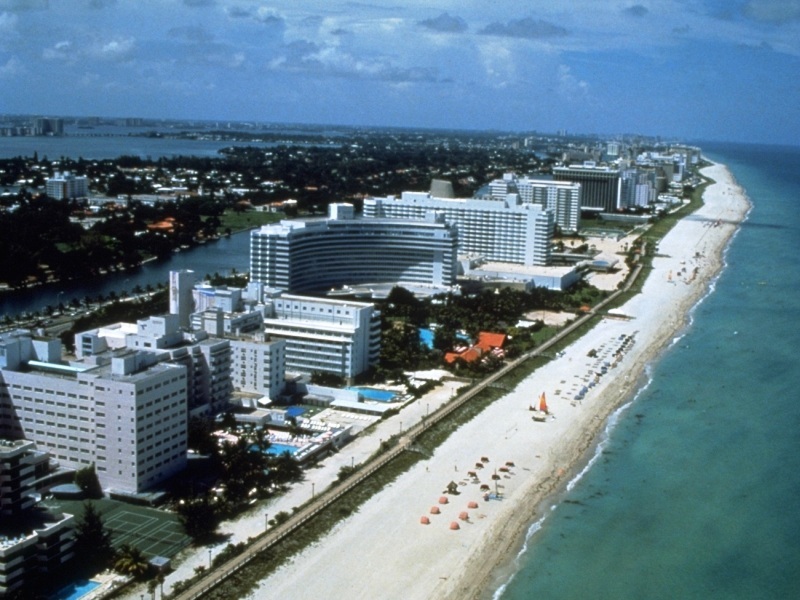 The South Beach area, (nicknamed SoBe) is notorious for its party scene as well as its Art Deco District. 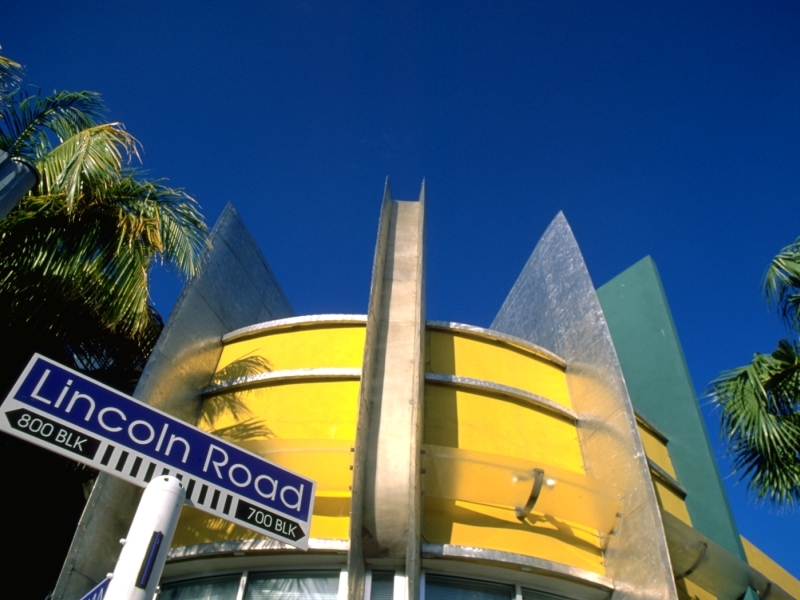 Strolling down the palm tree-lined Lincoln Road, built originally to be the Fifth Avenue of Florida, surrounded by the geometric angles and curves of the bright white buildings you could be transported back to the swinging 20s and 30s. It is only the brand names plastered on the shop fronts, and the fashions sported by shoppers which betray that it is the 21st century. 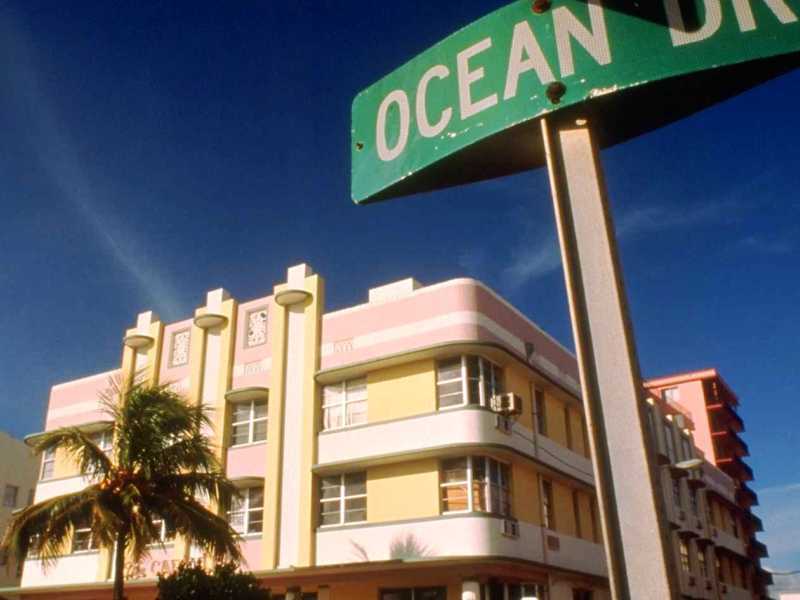 Some of the most iconic Art Deco buildings are found on Ocean Drive. It is here where you can find one of North America’s most photographed buildings – the former Versace mansion, as well as numerous other hot hotels which over they years have attracted generations of celebrities. 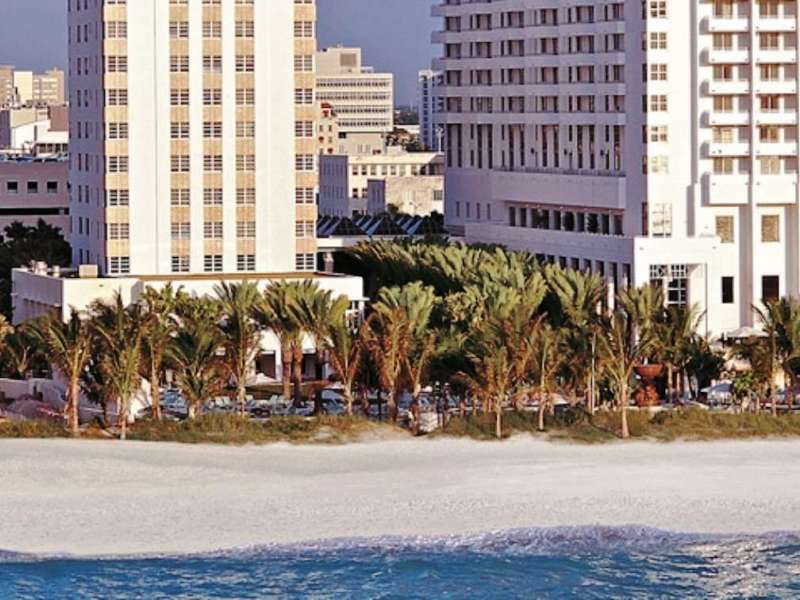 Travel beyond the hotels and the wide streets spill on to the golden sands of South Beach itself. It is here that the beautiful people top up their tans by day before hitting the clubs by night. And while Miami may have a white-hot club scene, partying is far from the only reason to visit. Miami is quickly rising through the ranks to become one of America’s top culinary destinations. The rich cultural diversity of the area, along with the increasingly sophisticated palettes of both the resident population and the millions of visitors who flock to Miami each year, has created a vibrant restaurant scene, which is attracting the attention of acclaimed restaurateurs, chefs and critics alike. Miami is even home to a new culinary institution which not only aims to produce future generations of top chefs, but also welcomes the public to join masterclasses in its state-of-the-art teaching kitchen or dine in its restaurant. Year round there are festivals celebrating the food and wine and while Miami may be mainly regarded as a fun-in-the-sun playground, there is more to it than the perfect poolside cocktail. Performing arts centres with theatres and concert halls host performances of ballets, symphonies and operas, art exhibitions and fairs showcase the work of both world renowned and local artists and museums celebrate the area’s rich cultural history. There’s no doubt that Miami can certainly hold its own when compared to other great cities of the world. In fact, I would even go as far to say that it goes one better. Because while Miami can boast world-class cultural facilities, shops and restaurants, it also holds the trump card of its golden beaches and warm climate – Florida isn’t known as the sunshine state for nothing – and there’s not many places that can claim all that. Maybe its the warmth that means that the pace of life seems slower and more relaxed, but somehow it lacks the urgency and freneticism of a city like London, there is time to sit back and enjoy life, and the lack of endless rows of sky scrapers means that unlike New York the sun can break through, and there is a feeling of space. But I think the thing that struck me most, was the people. When someone said the American cliché “Have a nice day” I really felt as if they meant it. Speaking to someone who had moved to Miami from New York I commented on how friendly people were. She said: “I know, everyone here is so happy.” I hadn’t thought of it like that, but it’s true. Everyone seemed to be smiling. But then, if you lived in Miami why wouldn’t you be happy? From museums to mojitos Miami has everything. And it made me smile too. American Airlines run regular flights between Heathrow and Miami. 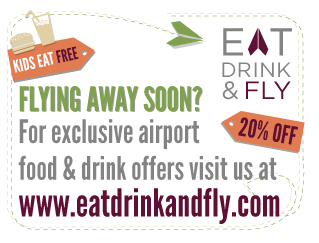 For more information and fares visit . Heathrow Express runs a direct service between Paddington station and Heathrow airport, with trains leaving every 15 minutes. Loews Miami Beach. A chic Art Deco hotel in the heart of South Beach. There are 790 stylish rooms and suites, many with views over the beach which can be accessed from the hotel. There are excellent restaurants (there’s no better start to the day than the Florida lobster omelette), spa and pool. In high season guests relaxing by the pool will be able to take advantage of extra little complimentary treats such as chilled towels and smoothies. Mandarin Oriental Miami. 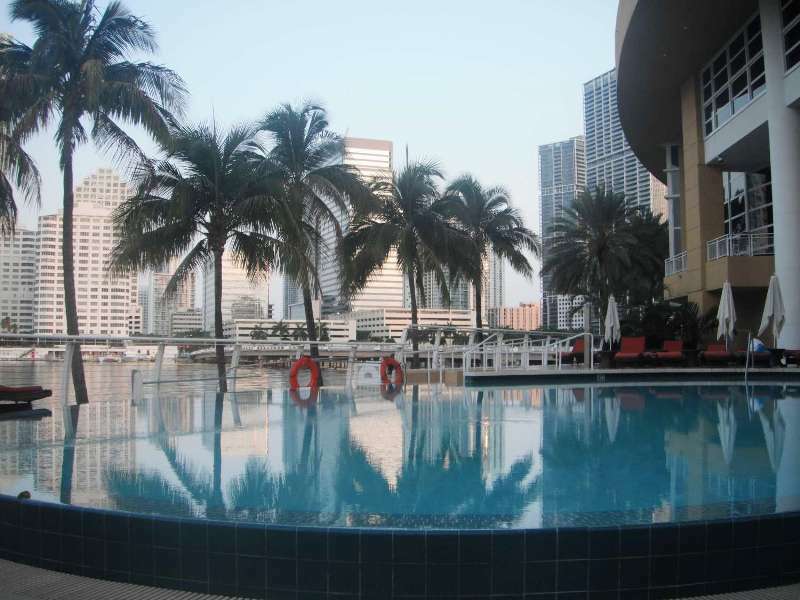 A ultra-luxurious hotel on the waterfront at Brickell Key. There is a private beach and an infinity pool overlooking the water. The hotel’s bar, the M-Bar, serves up 250 different martinis. If the menu seems a bit overwhelming then the bar tenders will happily help you make your selection, making recommendations based on your favourite flavours. “Around the World” Culinary Tour at Ritz Carlton Key Biscayne. Take a trip around the world eating and drinking at four different venues. The journey begins at the Old Havana inspired Rumbar, with rum tasting and a sample of two signature menu items. 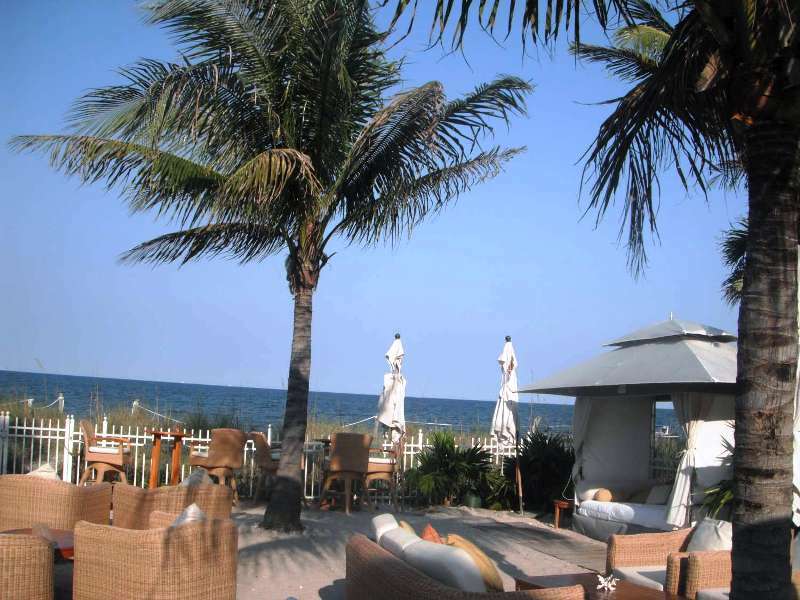 From there guests move to the Dune Oceanfront Burger Lounge, the flowing white cabanas and European lounge music reminiscent of a beachfront bar in Saint Tropez, to try rose sangria and a burger popper. The third stop is Mexico, in the shape of Cantina Beach. The Chiapas-native Chef de Cuisine dishes up tableside guacamole and samples of his signature dishes, accompanied by tequila from the collection (which is the largest tequila collection in South Florida), chosen by resident tequilier Heriberto Oviedo. Sugarcane Raw Bar Grill. This restaurant has three distinct kitchens: robata, hot and raw bar. Dishes are served tapas-style which means you get to try examples from each of the different kitches. The pig’s ears are far more delicious than they sound and the cocktails are excellent. Sustain Restaurant and Bar. The clue is in the name – this restaurant is all about sustainable food. The seafood is sustainable, the meat is locally sourced and there is a salad made with ingredients all sourced within 50 miles of the restaurant. Mercadito. Here traditional Mexican flavours are expertly blended with creative interpretations of local and seasonal produce. There is a dazzling array of guacamoles and salsas on offer to accompany your meal. If it all seems a bit baffling then the waiters are happy to help out. Azul. is the restaurant in the Mandarin Oriental and it takes fine dining to a whole new level. For the ultimate indulgence try the Silver and Gold Egg. Red. There’s a good chance of spotting a celebrity at this ultra-cool car and restaurant. Probably the not the place for a romantic meal, but an excellent choice to get you in the mood for a night on the town. Fontana at The Biltmore. If you’re thinking brunch, then think Biltmore. The Sunday champagne brunches are legendary. The buffet has every dish you could possibly imagine including caviar, shellfish, carved roast meat, freshly made omelettes, pasta and sushi. And if that weren’t enough, there’s a whole room dedicated to desserts. Plan a long time for this brunch because you’ll want to make sure you get a taste of everything. Mister Collins and One Bal Harbour. Classic American dishes done exceptionally well, with stunning ocean views. You can even have a beer pairing with your meal with beers chosen from the restaurant’s artisan beer collection. Miami Food Tours’ SoBe Tour des Forks. Take guided tour around the Art Deco District learning about the history, culture and architecture, while at the same time tasting food from some of the area’s hidden gems. 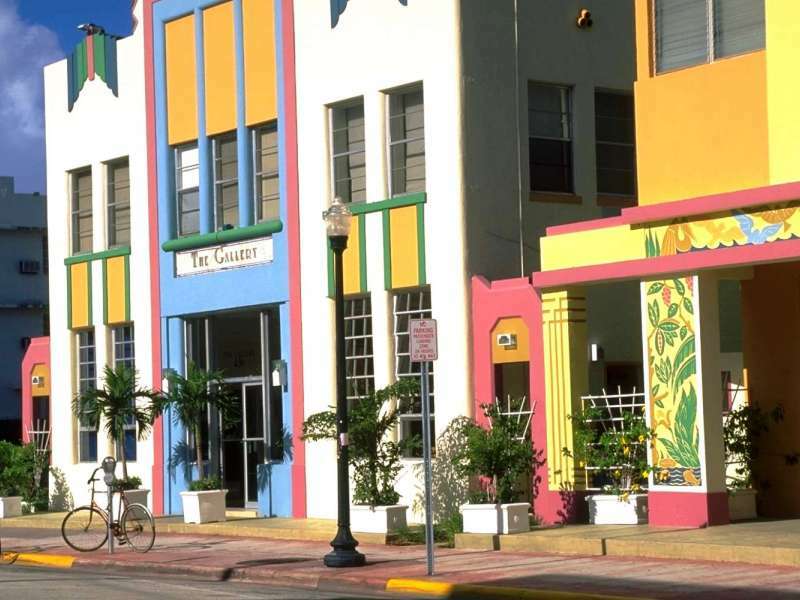 Secrets of Little Havana Cultural and Culinary Tour. A guided, edible journey through one of Miami’s oldest neighbourhoods. Learn about traditional, rustic, Cuban cuisine, as well the area’s history. During the tour you will meet local artists, watch cigar rollers and take a peek in the famous Domino Park.